It’s no secret that blogging is one of the most successful ways to be a part of the fashion industry. Posting pictures of outfits is cool and all that, but the following women are bringing something more to the blogosphere. Some of them already got their foot in the door but made their name huge and easily recognizable in the industry, and some of them built a brand for themselves from scratch, both by using the modern tool of blogging. They all started from creating a page on free blogging websites into having a website to call their own. It’s obvious that these ladies are worth mentioning during Women’s History Month, as they’re making their own history in the fashion industry. Here are five modern ladies taking the fashion world by storm, one blog post at a time. Blogging about not only fashion, but also food, interior décor and DIYs, Emily covers it all with elegance. You can really tell from just looking at a couple of her posts how ladylike and put together she is in almost everything she does. Her photographs are sweet and artistic in a calm way, with pastels as her main color pallet for her blog. Don’t get me started on her food posts, which are not only of the ones she ate at different unique restaurants, but also the ones she cooks in her own kitchen. Scrolling through her blog page after page will make you dream of a life full of precious little details that really matter, which is actually pretty realistic if you set your mind to it. At least, that’s what I think Emily’s trying to prove to me. Notable for her fashion illustrations, this Parisian climbed up her way to the fashion industry herself when she realized that’s where her passion lies. She is now an acknowledged fashion photographer, covering both fashion shows and street style. Not long ago, she released a web-series following her adventures during fashion week where we can get a glance of the people she meets and her activities as a fashion photographer and illustrator during fashion week. Her sweet and outgoing personality really shows through her videos, which makes her that much more lovable. Met Anna Wintour? Check. Karl Lagerfeld? Check. 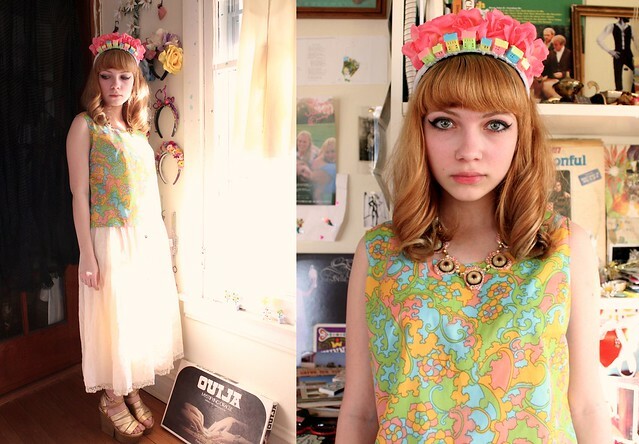 She also scored her first front seat at New York Fashion Week at the age of 13 and since then, the whole industry turned their heads toward little Miss Tavi Gevinson. She started expressing her interest in fashion along with posts about her normal eighth-grade life. However, this was enough to catch the attention of industry insiders and soon enough her quirky style and unique critiques were noticed. Her latest venture was founding and becoming the editor-in-chief of an online magazine called Rookie Magazine, written by girls for girls. It’s pure genius, I tell you. Check it out here. I have a feeling this won’t be her last bright idea. This Swedish native was in charge of the fashion section of Sweden’s second-largest newspaper, Expressen, before becoming her own fashion media mogul. Besides being a co-founder of Fashion Networks International, Kling is also the Fashion Director of her own magazine called STYLEBY. You read it right: her own. She documents all of her work and travels on her blog along with outfit posts that reflects her simple, cool and in-control style. With two design collaborations and a net-a-porter campaign in her pocket, Kling is definitely sticking around. Based in New York, Medine takes fashion styling to the next level. She started from a simple blog using Blogger, defining what it means to be a “man repeller” through outfits. Her unique approach to fashion landed her front seats to shows on fashion weeks all over the world. She has gone from a normal, New Yorker college student into a fashion blogger icon. She doesn’t even go by her own name most of the time, Man Repeller has become her identity. As if her posts about man repelling outfits and fashion events aren’t beyond cool enough, she also sometimes posts and discusses (as in reply her readers’ comments) conversational topics (like, the Tinder app) with a perfect amount of humor, sarcasm, and wit. Medine is definitely not your average fashion blogger. It's good that you've a dream. It' even better that you want that dream to come true. But, always remember that not all dreams come true. Today in the mail I received a this Panda T-Shirt from Woman's Fashion. They are a woman's fashion seller that focuses on Korean fashion. They ship worldwide. I'm not normally a big fan of t-shirts, but I really do love this one. It has long sleeves, but since I have long arms I push all of my sleeves up. The print is super adorable, and works very well with my jeans.